The tour “ChefBurger on wheels” rides on. 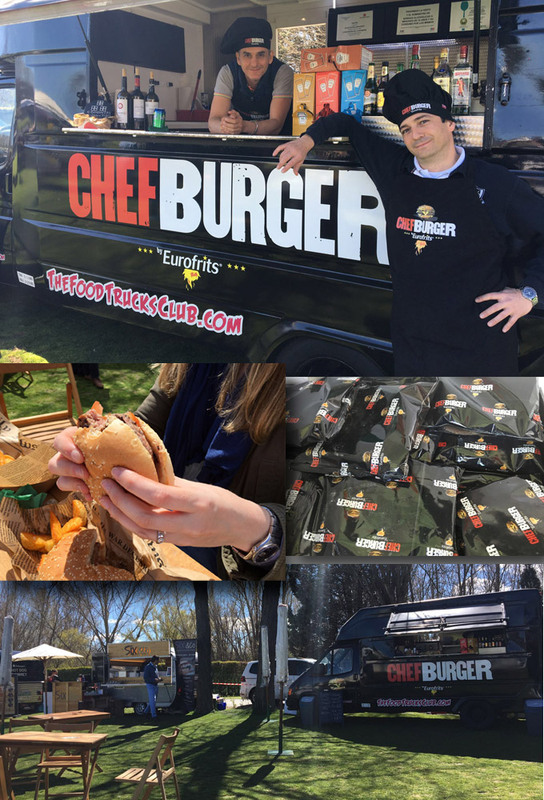 This time, our already celebrated food truck has stopped by at a distinguished leisure and sport event, the Madrid Golf Experience 2016, celebrated in the capital from April 8th to 10th. A superb weekend in which visitors had the opportunity to try the different varieties of our Premium Hamburgers range. A sunny weekend to celebrate the tenth edition of the largest golf tournament played in Spain. Besides golf, the event comprised a variety of activities for all the different attendees, many of which for the entire family to enjoy, fans of golf or not, with a special array of choice for the younger ones. Top professionals directed master classes, quizzes, tournaments, magic shows, and other light entertainment. Our Food Truck was easily found in the catering area, giving older and younger ones the chance to re-charge and continue on with the activities. Visitors at the Madrid Golf Experience 2016 could discover first hand the great quality of our Chefburger range with the XXL Burger (for those not easily filled) and the 4-Cheeses Burger (with Mozarella, Cheddar, Edam and Cabrales). Find here a summary in images.